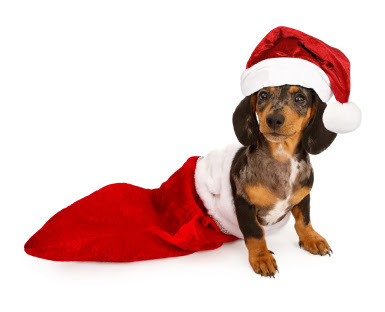 Are you looking for a few nice things to fill your dog's stocking this Christmas? We have a great selection of stocking fillers for your dog including luxury dog toys, organic dog shampoos and conditioners, festive dog clothing including a santa coat and a Christmas Bandana. If you are looking for something delicious for your dog to get his teeth into whilst you are tucking into your stuffed turkey with all the trimmings, why not let us bake you a box of personalised dog treats? Choose from milk bones, peanut butter pupcakes, coconut sprinkled donuts and much, much more all with a festive twist! What more could you ask for to stuff your dog's stocking with this Christmas?